Australian’s love getting things for free, and when we play casino games online we aren’t immune to this desire of wanting to score great bonuses. Casino Mate, targeted at true blue players down under, is chocka’ block with amazing online bonuses and promotions so we can get the most out of our experience when we play blackjack online. Aussies are extremely welcoming so it makes sense that when we sign up at Casino-Mate, we are eligible to receive the deposit bonus of up to $1400 AUD. To claim this welcome bonus you need a real money account with the Internet casino and you do need to match your sign up name with the name on your credit card to avoid any errors. Additionally, if you do not want to receive the bonus, which is very un-Australian, then you need to email Casino-Mate to let them know. You can find the email on their contact page. First deposit – 100% of up to 100 credits available. Fourth deposit – 50% of up to 750 credits matched. Casino-Mate’s welcome bonus has to be claimed within the first week of registration and you can’t make a withdrawal before finishing the four step deposits of the welcome bonus or you won’t get access to the matched credits. There is also a Freeplay bonus for players who want to learn how to play online blackjack without having to deposit, but we did this and we were soon signing up for a real money account after playing in this mode. This bonus offers a free $3000, which is 3000 casino credits, to play with before making a deposit so you can understand and experience online blackjack at Casino-Mate. You do need a real account, but you get to play online 21 for an hour with the free money. You can claim your winnings with this Freeplay bonus but it has to be 100 credits over the 3000 credits you are given and you do have to make a deposit of minimum $25 to transfer these winnings from your free play account to your real account. These two promotions at Casino-Mate do not coincide. So if you do win via the Freeplay bonus and claim your winnings, you can’t claim the welcome bonus which means you will need to decide which way you want to play online blackjack at Casino-Mate so you can the most out of your bonuses when signing up. As you become an experienced online blackjack player at Casino-Mate you will be rewarded. The web casino is a part of the Rewards Programme which is offered by the Vegas Loyalty Lounge. These translate in the online gaming world as C-Bucks which are available to players for every game including online blackjack. These C-Bucks work just like real cash and can even be swapped for real money, or other bonuses such as tournament entries or free spins. There are different rewards lounges associated with these C-Bucks including the Green, Silver, Gold and Platinum lounge, which sees the latter lounge offering the most rewards. You can even earn C-Bucks just for getting older, but the player has to be online for at least 180 days prior to their birthday to earn these casino bucks. If you prefer to access the best web 21 games via Flash, then you won’t be able to play these aforementioned bonus games, but there are still some amazing variants for you to play with some offering great additional winning options too, and you can play them not just on PC or Mac, but on your smartphone and tablet as well. You also still get to utilise the welcome bonus via instant play so be sure to check out these blackjack games we recommend and play them at Casino-Mate. 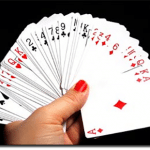 Using just one deck of cards in this variation, the game follows traditional blackjack rules, only the house advantage is lowered. While some blackjack variants pay out even money when the house edge is lowered to compensate, Classic Blackjack does not and sees a pay ratio of 3:2. You can’t surrender in classic blackjack, nor can you play multiple hands, but the lowered house edge and good pay ratio makes this online blackjack, available at Casino-Mate, quite a good game to play. Classic Blackjack is also available in the Gold series, meaning you will need more credits to play. The standard Classic Blackjack has a table limit of $500 and a minimum of $1. Using just 52 cards, players instantly win with straight up blackjack and can play additional games which create great bonuses to our winnings. For example, we get additional winnings if we get a straight up diamond blackjack. In other words, if we have an ace of Diamonds and a Jack of Diamonds we get paid odds of two to one instead of the usual three to two. Another bonus sees all those annoying small cards paying off. So if you get six cards which all equal 20 or lower then you win. Or if you get six cards which do equal 21 or higher the odds change to two to one. You can also split cards in Super Fun 21 which aren’t the same suits, however they must equal ten. For example, if you were to land a 10 of clubs and a King of diamonds, you can split these. 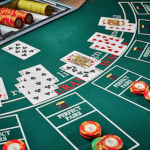 The number of times you can split is also increased – up to four times, while insurance bets and late surrender are both available if your hand isn’t so good. The table limit is $1000 for Super Fun 21, with a minimum of $1. Software providers Microgaming are winning the race in terms of online casino gaming providers. This is due to their extensive experience, which dates back to when they established their software system in 1994. This means not only are all the variants offered innovative, including the online 21 titles at Casino-Mate, they are also tested monthly due to Microgaming being a part of eCOGRA, which is an independent agency that tests online gaming software. They test how fair random number generators are, whether or not any software or systems are acting in a fraudulent manner, and overall ensure a safe and secure online gaming environment. They use auditing reviews to ensure players can find the information online for themselves. Information on Microgaming can be found on the eCOGRA site and thanks to this we now know the software Casino-Mate uses won’t compromise our personal information when we play online 21, and other titles. Additionally, Microgaming software not only allows you to play amazing titles, including web blackjack, on your PC or Mac, but also on your smartphone or tablet without compromising quality too much. There are less titles available, for example the Bonus Blackjack games mentioned above aren’t available due to their lack of compatibility with flash, but there are many variants for you to sink your teeth into. So you can play mobile blackjack even while you wait for your mates to cook up your sausage sizzle, like any true blue Aussie would.